It’s been a busy week at Community Servings! 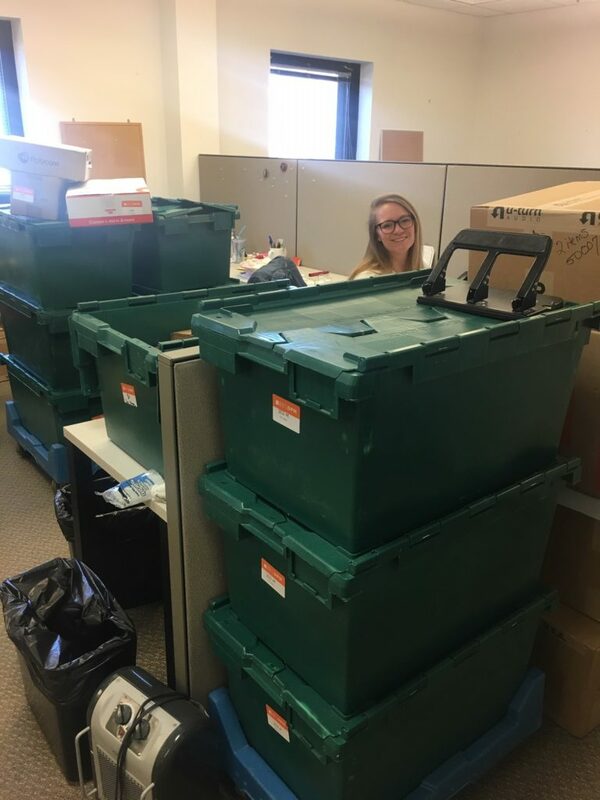 While our volunteer department and culinary team celebrate National Volunteer Week with our outstanding volunteers, the office staff has been preparing for our move into the new building. On Friday, April 12 and over the long weekend, our boxes, crates, and computers will be moved into the three-story building next door. Next week, while we’re unpacking and settling into the new space, the Shawmut Design & Construction team will be walling-off the former office space so that the next phase of the project, the kitchen expansion and renovation, doesn’t impede upon current kitchen operations. Volunteers and visitors should continue to use the 18 Marbury Street entrance.